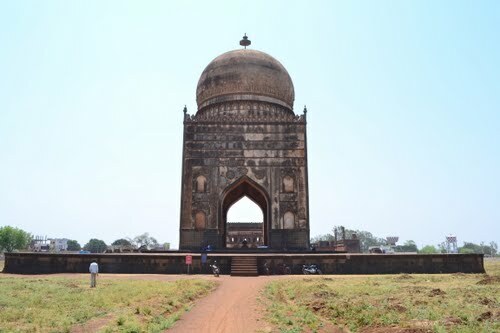 Built for Ali Barid, the third of the Barid Shahi dynasty of Bidar who died in 1579. 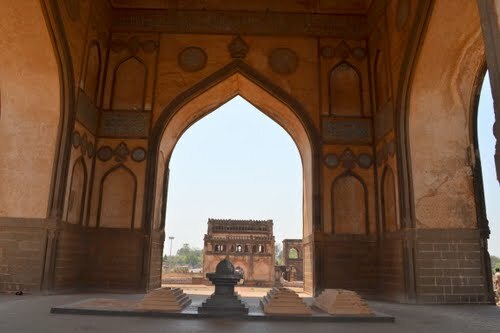 Instead of being a closed structure like other tomb buildings, it is an open structure, with a large archway in each of its four sides. The cenotaph, carved in black basalt is visible through the archways. 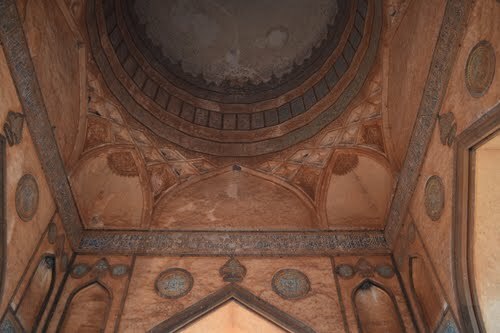 The architectural composition is simple, except for the elaborate treatment of the dome, which is beginning to show the bulbous form which would become common in later years. The builders, reverting back to the Persian principles, treat the building as a base for surface treatment like coloured tiling. The decoration includes long bands of inscriptions containing couplets, personal eulogies and sacred extracts in Kufic, Tughra or Nashki scripts.